Worried Thinking About The Right Time To Start A Business? 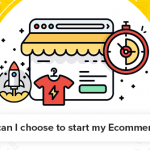 If you are having an idea to start an Ecommerce business, the very first question that you will be having in your mind is: Can I start ecommerce solutions for my small business? Is it the right time to start my small Ecommerce venture? The answer for your question is obviously Yes! You can start your Ecommerce solution for your small business. A static report says that more than 80% of the world’s populations are internet users. And each and every person is looking for different solutions online. More importantly, over 45% of world users at present have done one form of electronic fund transfer by themselves either through Ecommerce or through other online mediums that can be a strategic driver for them to move towards electronic transactions happening through the payment gateways of your store. Still 45% of people who are online, do necessarily have an infrastructure that has educated them to do online transaction, but the fear to go online for transactions has hindered to make them progress. But this gap is soon to be reduced and the major chunk of people online, doing EFT (Electronic Fund Transfers) will be on the rise. Capitalizing this would be the best way forward for any ecomm-prenuer to kick starts his businesses. Large businesses have already proved to have removed the fear psychosis from the people about the prevalent frauds online. Hence, thing on the lop-side of giants in space will only keep you out of the business and will not drive you inside and will prevent your business wheels from running forward. So I can perfectly suggest you to start your small ecommerce business at this perfect time. No time is imperfect for a right action. Take things forward by yourself. 1 Can I start now getting online? If everything for your online store is planned well, then you can go for live. Behind every successful online store, there is a well planned execution. Well, you can just jump to Ecommerce business without planning as you will not be aware of what to plan in an unknown ocean. 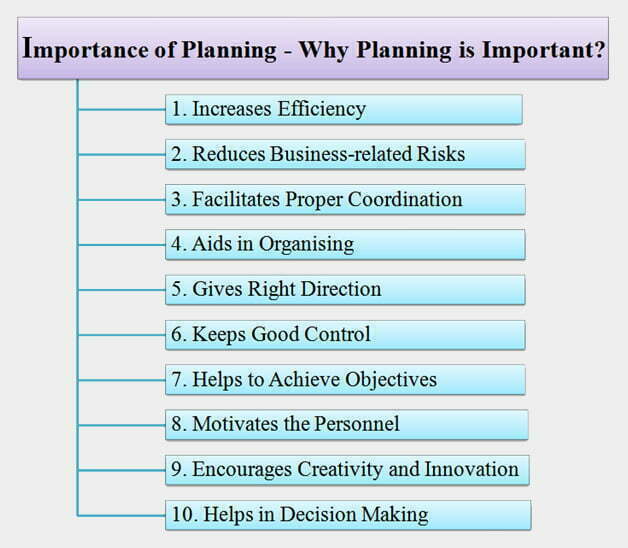 Planning, but is a key driver to any organizations success. Try to frame a business goal, connect with the position where you are at the present. Try to put roads connecting to the business goal and to the position you are at present. Well, you might not be able to do the connection right. You will be creating in-roads in several areas and your focus getting lost. But planning has to be correctly identified, when you go deviation and has to be re-planned to stick with your business goals. Finally you could have a clear vision on how you could connect to your business goal with your present scenarios. Once you have identified your potential in setting up a perfect business goal and connecting your present positions to it, the future planning will be the stuff, which is an easier exercise. But believe me; this is definitely not going to be easier. It will take the pain in you to make you go successful from wherever you are at present. But keep persistence and consistence in moving out of the present and keep acing toward the business goal framed through the right road you framed. 2 Is this the perfect time to go live? Once you have done everything like right product choosing, website design you can go for live. Every time is right time if it is planned and implemented well. Choosing 1000s of product is not the key to success, but choosing a product and making it to reach to 1000s and millions is the real key to successful business. I here know of two businesses for whom, we have developed their online stores. I would like to share them to you. That can be a reference for you on planning the resources inventory. Halwakadai.com – Started selling with 1 product and today has 8 products after 4 years of their business operations. This startup has also opened 4 offline stores in the areas around Chennai, India with sales anywhere around 2500 Kilograms a day with all 5 stores (one online and 4 offline store). They tried to focus on giving the best quality with certainly the right tips so users can get the product in its best form. They worked on shipping so it’s easier for users to receive them with no delay that can happen through manual interventions. They focused on these aspects only after they started selling 75 kilos of Halwas online per day. Technology was the major driver to their success, but with the focus to reach more people through a simple and basic ecommerce website, they focused with their non-perennial resources to hit the bull eye – The customers. Orderyourchoice – Has 75000 inventories, but today they make 250 orders/day and 5000 hits/day. I feel, I need not open up now, on what’s important, as the case on halwakadai was sufficient to plan on what is important more to reach people to make sales. 3 What products will I be selling on my online store? You have to make a research on the market needs. There are numerous Ecommerce store available right now. But, it is not sure that they can sustain in the field. So, knowing the market as well as the customer need before starting an online store will help you in a better way. You can sell anything you believe will have the potential to be sold. The right combination of showcasing your store along with the perseverance of how a user will see it when they enter your store is potential for the businesses online. Most people open online. They fail to focus on what’s important and drive themselves to put their attention to wants not important and waste their precious times in the first few months/ years of startup. 4 Searching a best Ecommerce business name to go online. Choose a right name for your website in order to create a brand value. A brand value will give a great impact to your store. But there are certain things that you need to follow while naming a business. Have you ever noticed famous brands like Apple, eBay, Amazon, many. Their name will not be too long. The reason behind this is, your customer needs to remember your brand name. If your brand name is too long or difficult to remember, then definitely you are going to lose your revenue. There are domain hosting companies, which can help you to choose a right domain to your company. Driver to success in business is your business name and the underlying brand image. People conceive brand image before they make a purchase with you. Brands that are big will have a logo which is plain, simply understandable and it conveys their values. They are not the epitome of design elegances. They epitomize the value proportion a business has with its clients in past. Reference Blog: How to Register Online Startup Company in India? 5 Who will be the best Developer/ Development Company to help me in my venture? The best track record with proven skill to understand your business goals and connect them with your present stand, leveraging technology as a bridge connecting the goal and the present stand can be the best development company. The key to client success is much important a potential to drive the business growth of organizations’ large and small. Your idea has to be converted to reality. And there is where a development company has to put their efforts to. 6 Do I need a developer all time to run this store? Except on planned maintenances, a well built ecommerce store for your small business will not require any developer all the time. You can contract a developer or do an AMC in this perspective. Planned maintenances include, re-gigging servers., upgrading the technologies, optimizing the technological performances, moving the system with right resources, deploying them right and when they needed etc. However, in the perspective of servers, there are several automations that are in operation can drive your business goals to success, without manual operations. 7 How can I go for marketing my product? You can make use of Social Medias like Facebook, Instagram, etc. You can send free samples for your influencers, create blogs and say about your products. Blogging can help you to reach out to more number of people. You can speak a lot about your products and its uses to the customers via your blogs. 8 What are the right ways to market? There is nothing like right ways to market. But, your marketing region should be on the right place. If you are having an online store in a particular region and supplying products within your region; but if you are marketing on some other location, it is definitely going to help you. Hyper-local marketing or community marketing is a best choice to begin with. It is nothing but targeting people or entities that are located within your community. At first, you need to start attracting customers around your local area. This is the first step. Then you have to target your surrounding areas. Following this procedure is one of the right ways to market and pull customers to your online store. 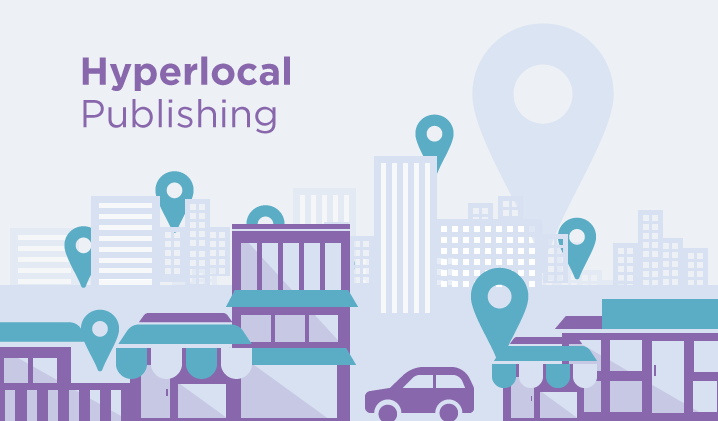 You may have a doubt that how hyper local marketing can can help your business. It is one of the best ways to connect to the people and attract customers from your neighborhood. 9 How long should I be in incubation, before I can see some profit? You cannot take profit from your online store at once; it might take a year or two. So, until your online store gets profitable revenue from your store, you need some assistance to be taken from your website builder. You don’t need to be incubation if you have figured out the tactics of marketing. The key features of running an Ecommerce store is to know the marketing strategies, how & where to market your products. Once if you find the marketing strategies and targeting areas, you can be free to be on your own. But, if think still you are lagging in some steps or you haven’t figured the marketing strategies yet, you can be under the guidance and learn each and every aspects of marketing. Till then you need to be in incubation. Reference Blog: How to Make Money With Online Ecommerce Store? 10 How does persistence pays off in online? You need to main a consistent brand value. If you are providing such brand values, your persistence will pay you. 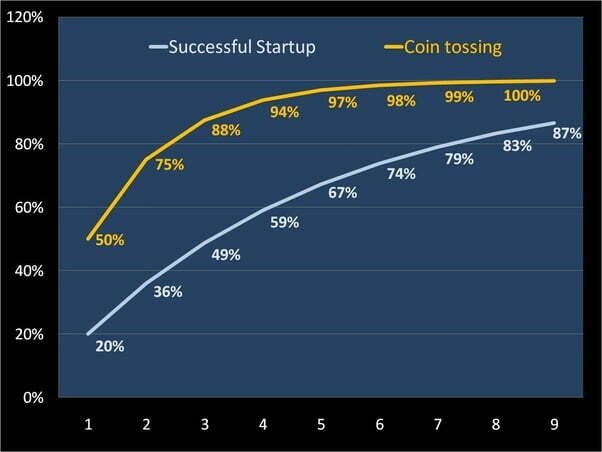 Every business takes up its own time to make some revenue. You cannot take a profit instantly after setting up an ecommerce. At first you need to be successful around you community, then in your region, then your state and further. If you are consistent till then, your persistence will definitely pay you. Here are some of the real life examples for persistence can pay off. 11 Can I try to move forward with Multi-vendor Marketplace ecommerce? Yes, no. Yes, you can move forward with multi-vendor marketplace ecommerce. 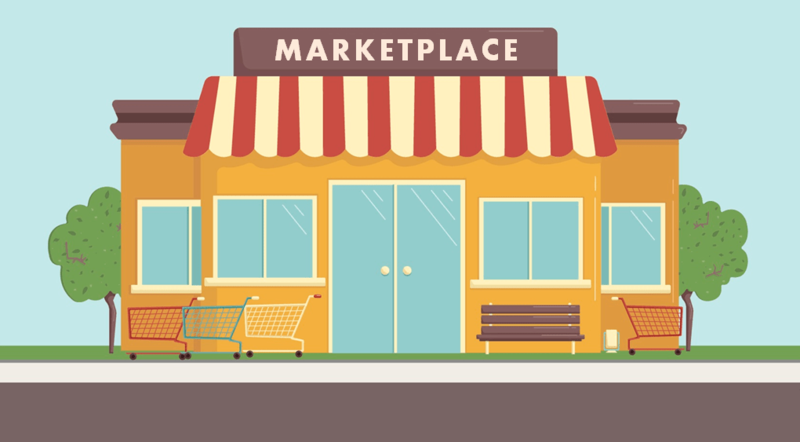 Multi-vendor marketplace is a best option for startup business. A multivendor marketplace refers to an online marketplace where buyers and sellers initiate or conduct transactions. The appeal of such a marketplace model is that it can create efficiency in an otherwise inefficient market. The marketplace acts as a digital middleman that connects both buyers and sellers, making it convenient for them to find each other as compared to before. One of the greatest advantages of Multivendor Ecommerce is you will be offered with services on your platform like logistics, warehousing, order fulfillment and payment collection. In addition to that Lighter initial investment, 2-way customer relationship, Long tail marketing, positive cash flow are some of the advantages of multi-vendor Marketplace ecommerce. So, moving forward to a multi-vendor marketplace is always a right choice as it brings traffic as well revenue to your online store. More than 70% online vendors use “Google Analytics” to measure their output. It is one of the best tools from Google to measure your sales rate. You can measure the conversion rate, the stats of your competitors, from which medium you are generating review and all other things. Analytics helps you to find out which campaigns bring the most traffic and conversions to your websites. You can also determine where your best visitors are located and know what people are searching for on your site. Analytics also helps to know where people abandon the shopping cart. This tool you to measure the micro-conversions and analyze transaction and average order value. This can help you to track your business in daily basis. So, I hope this blog might have given you some of the basic ideas of Ecommerce startup and you should go for it before setting up an Ecommerce store. By following these steps you can start your very own Ecommerce Solution for your small scale business. So, the main things that you need to follow while opening a startup in Planning, Marketing Strategies and Targeting Location. By following these three things, you can definitely have a successful startup. 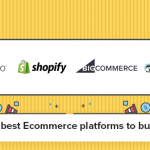 What are the best Ecommerce platforms for a small business to build their website? What Niche Ideas Can I Choose To Start My Ecommerce Small Business? I was looking to start a business where i can essentially have my store up and running with a multiple sellers concept. The idea is, i need to start a hyper local marketplace system. How would you say, you can plan a business framework for that with the above mentioned as a global strategy. I never will appreciate this answer. I understand you wanted to start an hyperlocal system. Yes there is a different plan for promoting hyperlocal marketplace business. The above is not universal framework that i have originally intended to write up, but they are just a collation of parts or pieces of work that can help business owners of a generalist particular scenario win, with a minimal touch to hyper-local system. For a hyperlocal marketplace like yours, you always have a unique conceptual story by biasing on community marketing. I will write to you in your email about community marketing. You can follow them and take your business up from there.